I went the Pont des Arts today with the intent of bidding good riddance to my city’s love locks. Instead, to my surprise, it turned into a fond farewell. It was charming enough, the original idea in 2008. 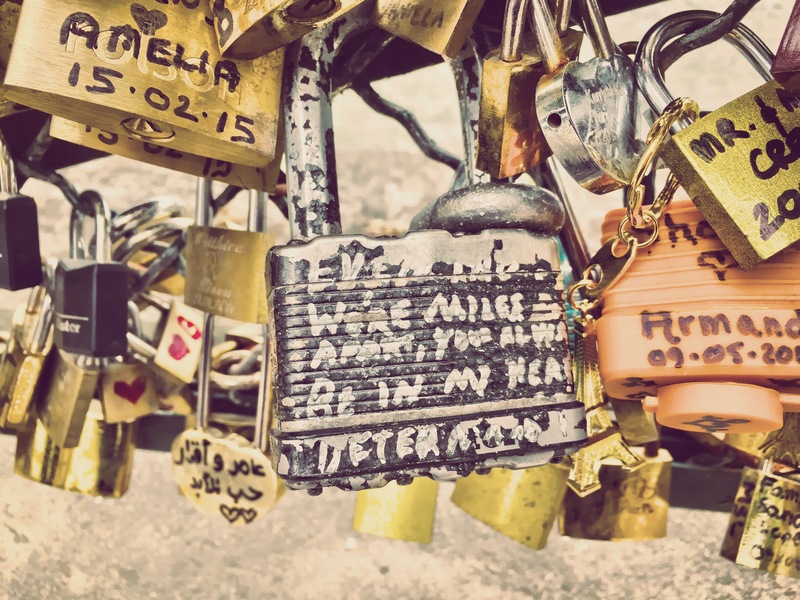 Write a message on a padlock with a loved one, hook it to the bridge’s railing, and toss the key into the Seine as a symbol of an unbreakable bond. Unfortunately—and this is a fact I’m reminded of every time I’m in front of a pint of Häagen‑Dazs —you don’t know you’ve had too much of a good thing until it’s way, way too late. The stats? 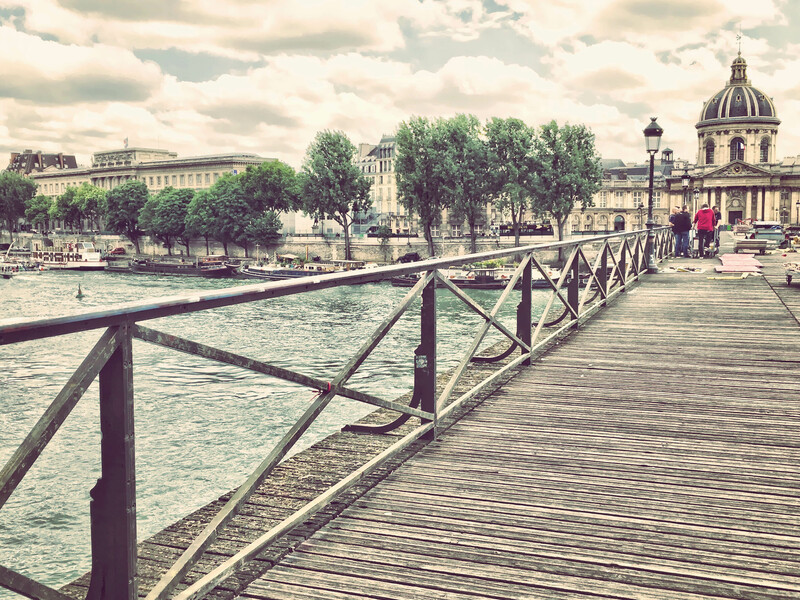 11 Parisian bridges currently supporting 1 million locks, weighing in at around 50 tons. That’s a lot of scoops of Butter Pecan right there. Having reached its breaking point (literally, in fact) the Pont des Arts is now officially becoming a lock-free zone. City officials are replacing them as we speak with temporary panels adorned with commissioned artwork, which will in turn be replaced in October with permanent anti-graffiti Plexiglas. I biked over to check out the bridge’s transformation. Personally I’d grown to resent the locks, having passed by them daily while lamenting the detriment to this historic neighborhood. And I still wholeheartedly support their removal. But I have to admit there was a different feeling at the bridge this time: a vague sense of the end of an era. In a way it was like witnessing a historic moment—as miniscule as it may be—in a city that’s built upon historic moments. Like me, others seemed to be grabbing one last look at the remaining panels before they too were sent to the chopping block; paying their respects to the condemned as it were. 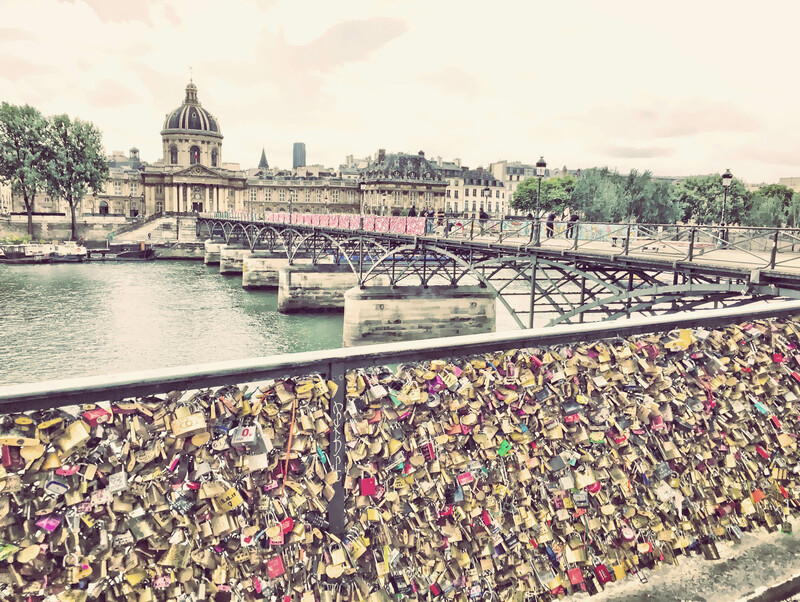 Added to this were the voices of the locks themselves, with messages that I had trained myself to avoid in past years but which now sounded like distant murmurs from long-gone lovers of Paris. What yesterday felt like foolish touristy chatter became today a bit more human. I guess it shouldn’t be a surprise: while the attaching of a lock was for many an empty vacation gesture, enacted with about as much authenticity as those snapshots of Mona across the street, for others it was a chance to tell a mother she was appreciated, or to finally garner the courage to propose to the girl of your dreams. 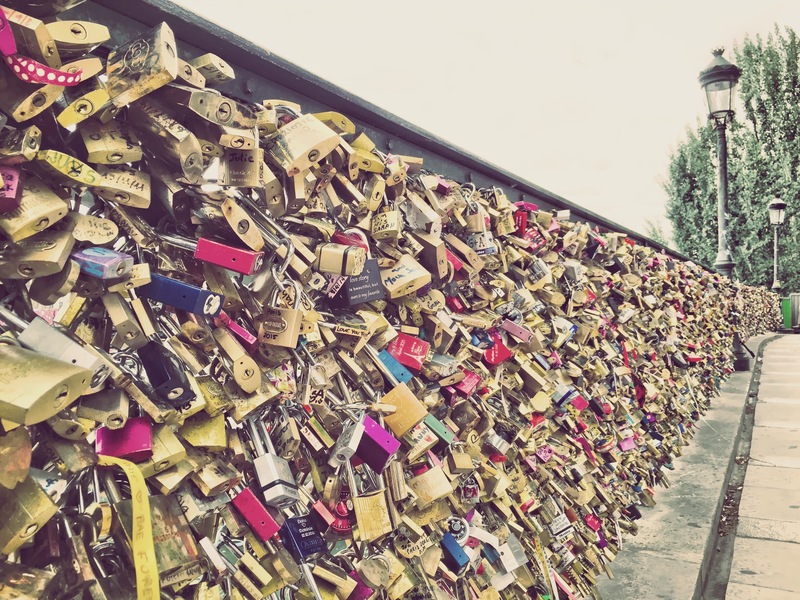 There were surely also locks dedicated to the dearly departed, to the soon-to-be-born, or to the kind of hopeful promises you make to yourself when you’re lucky enough to be inspired by Paris. Dotted sporadically within those bulky bulges of brass and steel were real dreams. Actual love, go figure. 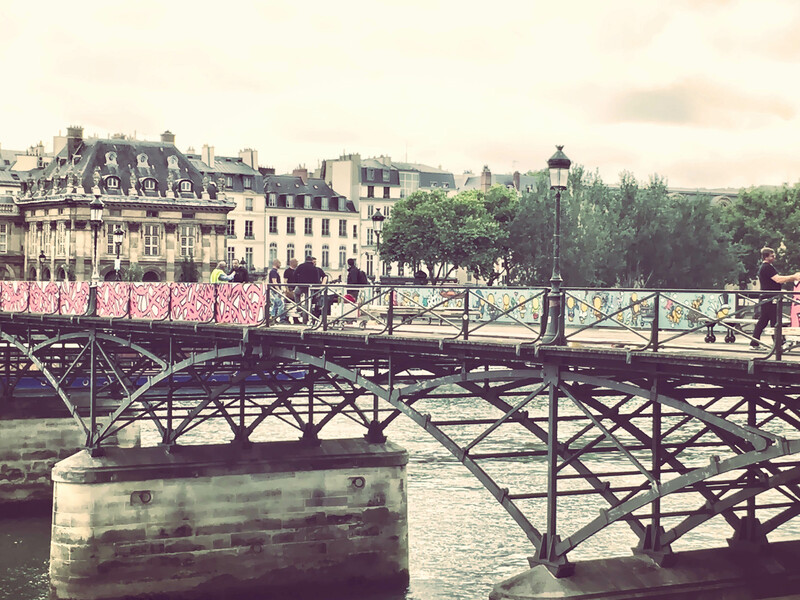 I wouldn’t say it changed my mind regarding their removal, but the love locks of Paris did manage to say something to me today, something I didn’t expect. 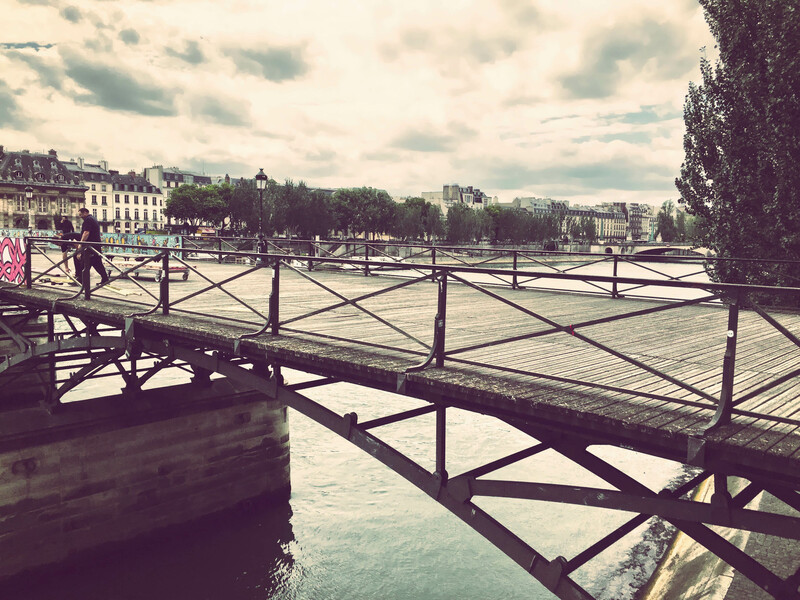 I wouldn’t be surprised if in the future, when crossing over a pristine metal-free Pont des Arts, I give an occasional tip of the hat to a few of those distant murmurs. What a nice tribute to the Locks, Corey. There’s humanity in looking at them individually, but they became junk as a whole. I guess you could see some of the same at a landfill (formerly known as “the dump”). I don’t regret their departure. I guess it’ll all be gone when I get to Paris in the Fall. I heard n the news that the locks are going to a large warehouse facility until they decide what to do with them. Would be a great follow-up story. 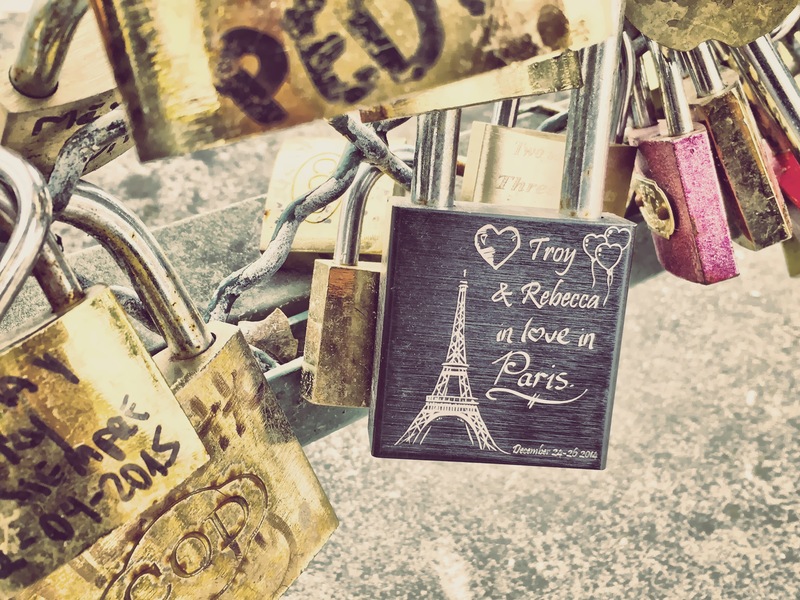 It will always be the city of love, with or without the locks. Which were indeed ugly. Interesting, thanks for the extra info. I wouldn’t be surprised if the illegal vendors outside the Louvre started selling the old locks as souvenirs haha. Hi Lee thanks for stopping by and sharing your thoughts. You’re coming in the fall? Great news! Maybe we can grab a coffee somewhere if you like. I’ll be traveling with three other ladies. Are you up for a group cup of coffee? Of course, I’d love to meet you all. Let me know if your group is interested in a walking tour of Paris while you’re here. You can reach me at cofrye.fr@gmail.com for info. Or just coffee’s fine–either way I’m on board! 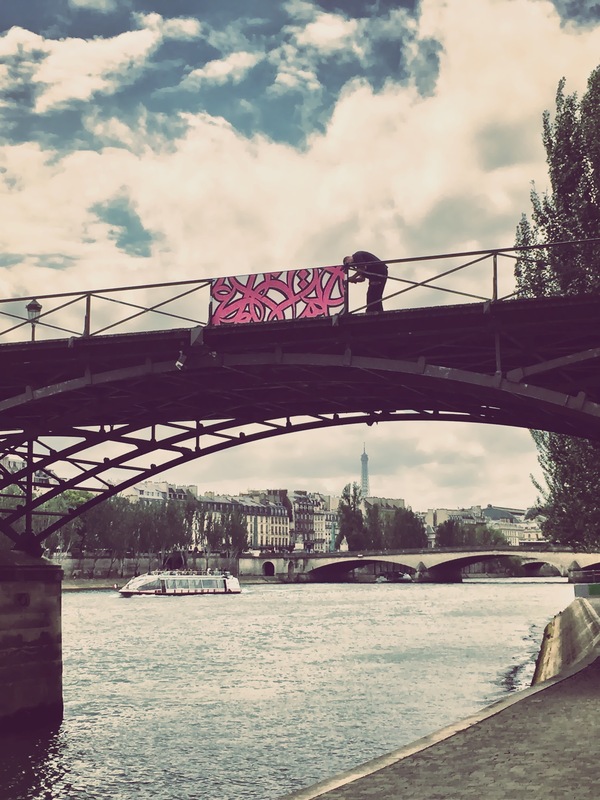 Nice ‘good riddance’ post and I look forward to seeing them gone when in Paris next month. No sure if the replacement ‘graffiti panels’ are any more attractive. It would be nice to just have the old unadorned railings back ….but then they would be full of new locks in a day. Why do people have to destroy beautiful views? The current panels are just temporary Ralph, once the plexiglass goes up in October I think it’ll look clean and more or less good as new. What remains to be seen is if the glass panels end up plastered with graffiti themselves. Time will tell! This is a wonderful post. I too am glad to see them taken down, but loved the nostalgia for the real gestures embodied by some of these locks. 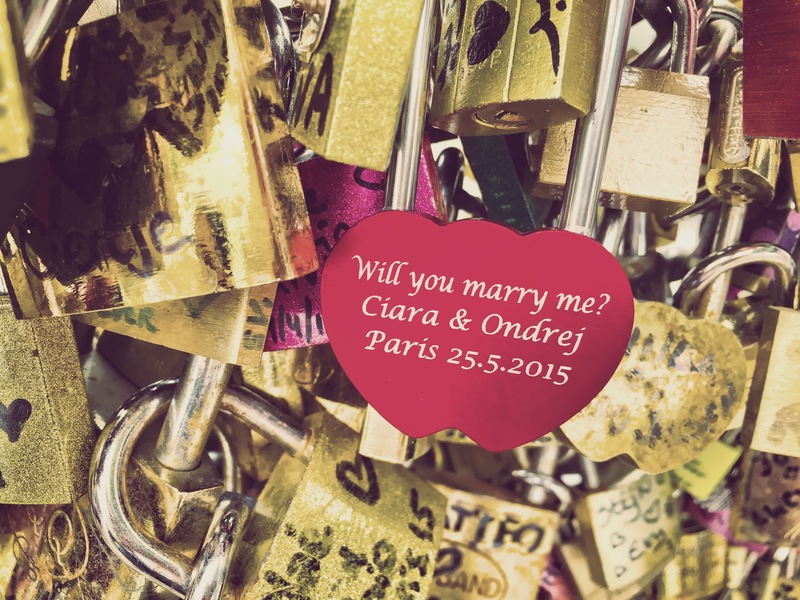 Paris inspires love, but I’m glad to see the end of the locks! Bonjour Joyce, thanks so much for stopping by! Paris certainly inspired love in my case but you’re right, it’s high time they cleaned up that area. A beautiful and thoughtful photo essay. I especially liked the hand tinted effect you used on the early pictures to invoke romantic Paris, contrasted with the close ups of the actual locks. You made me think twice about my snobby attitude toward the locks, but we all knew they would have to go. Thanks Ellen. I too share the snobby attitude and didn’t expect the tinge of nostalgia as they were leaving. Guess I’m just a sappy romantic? This is a well-written reflection. I had the same reaction to the removal of the locks. I’ve always hated them, but seeing them being taken down led me to reflect on the humanity of all the thousands of people who had left their mark on the city. Thanks for the kind words. It’s nice to see I want alone in this! Glad you enjoyed the post. Take care! A beautiful post Corey, you actually were able to tug a little at my heart strings too with what you wrote. although I also am glad this has come to an end. It became excessive, and therefor no longer special. Now people can imagine up their own original special memory making in Paris. 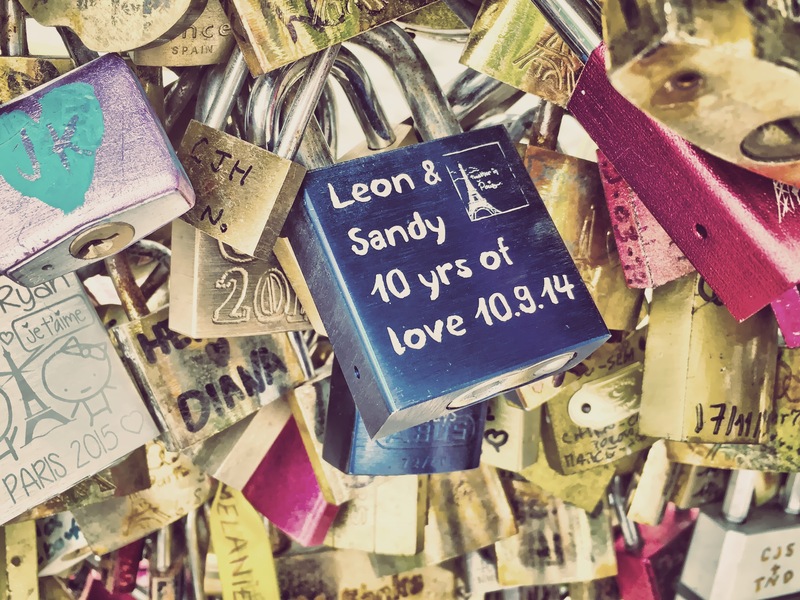 I’m guilty of being an early adopter of Love Locks. Paris was our honeymoon city and we returned after 21 years of marriage. 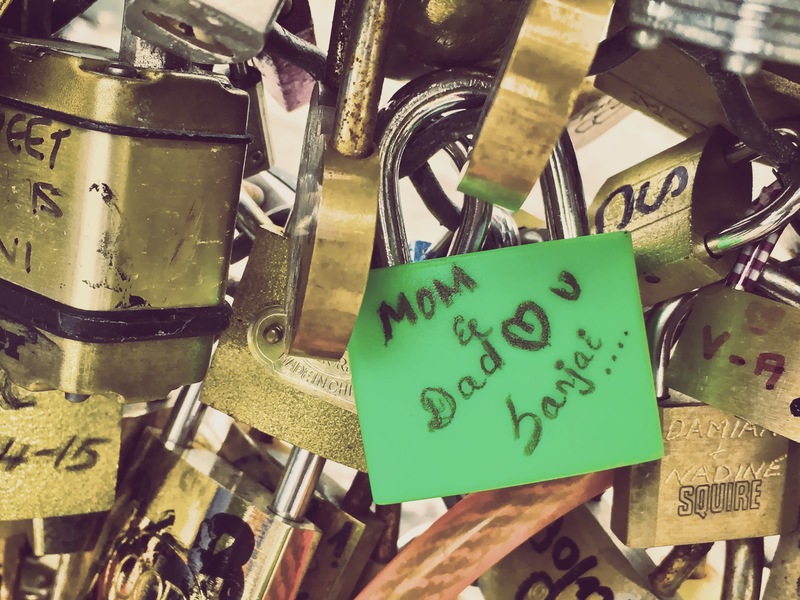 We’d heard about the padlocks on the bridge and felt like we were participating. 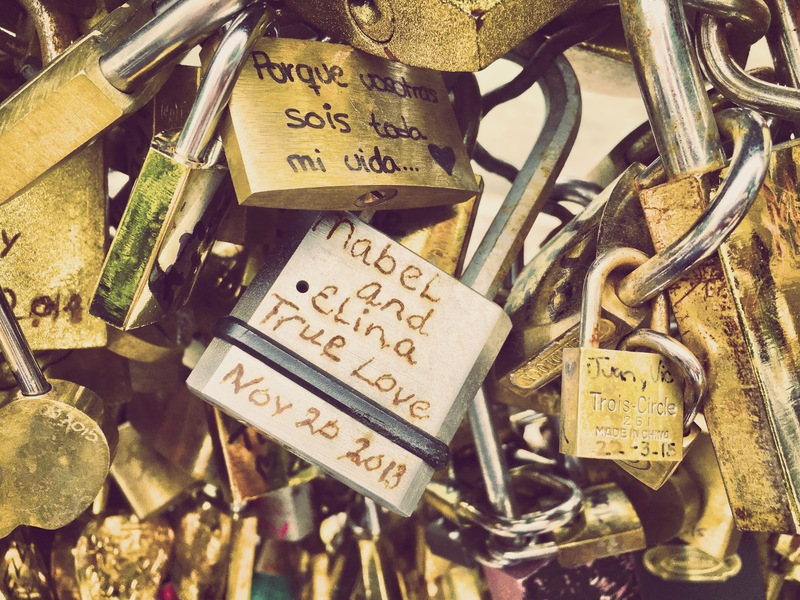 We bought out padlock and pen from a street hawker at the end of bridge, wrote our message and threw the key into the Seine. As we walked on we genuinely thought that the men probably had master keys and took the padlocks down to re-sell in a few days. Obviously not so. Ha, I wouldn’t put it past them to do such a thing Bob. I have no qualms with the idea on an individual scale; it’s a perfectly charming way to leave a little bit of your love behind in the City of Love. It’s just the sheer magnitude of the thing that turned it into a problem. Thanks a lot for your comment, I’ll be sure to check out your Flickr. This is a really great post Corey; well done. I have to admit, though, I am a little saddened by the fact that the Love Locks are being taken down. Although they are on display in a historic neighborhood, it’s still a tourist attraction that people anticipate visiting and really enjoy with their loved ones; and if you’re spending time with your loved ones, then it’s time well spent. Those locks may have begun to look a little old and rusty, but to some of us -including myself- they added a little bit of charm and dare I say beauty to that neighborhood. I guess it’s all a matter of opinion. Too bad I’ll never get to see them in person. I wonder what they are going to do with all those locks? One million locks? That’s incredible. 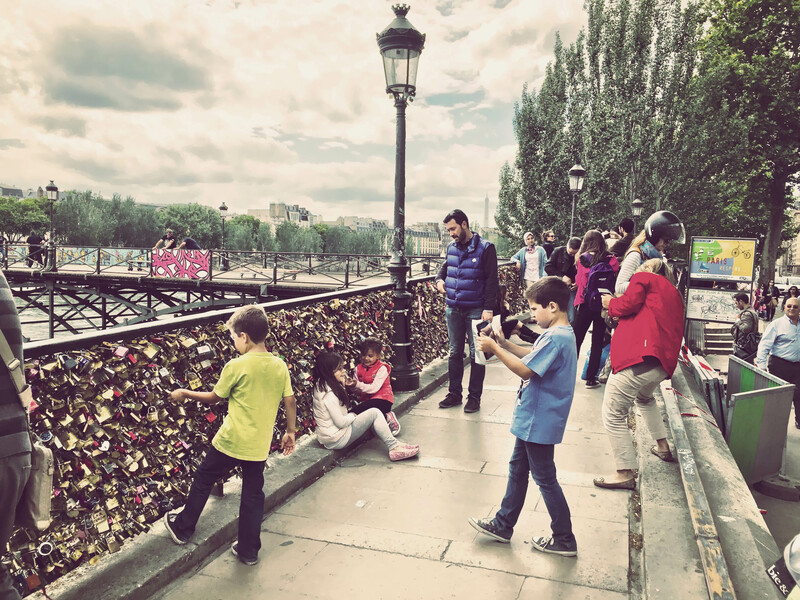 Unfortunately, they will probably toss them all into the Seine, but it would be amazing if a few skilled and creative artisans came together to build a historic art piece out of those locks to preserve them for those who made them, and the next generation of Paris visitors. Maybe display them in a museum. It probably won’t happen, but hey, it’s a nice idea. Thanks for the kind words Bug. I’ve heard that the city kept all the railings full of locks and placed them in a warehouse somewhere. Maybe there are plans to recycle them? Surprised that people never figured out how to cover the Eiffel Tower with locks :-) OMG Forget I suggested it!